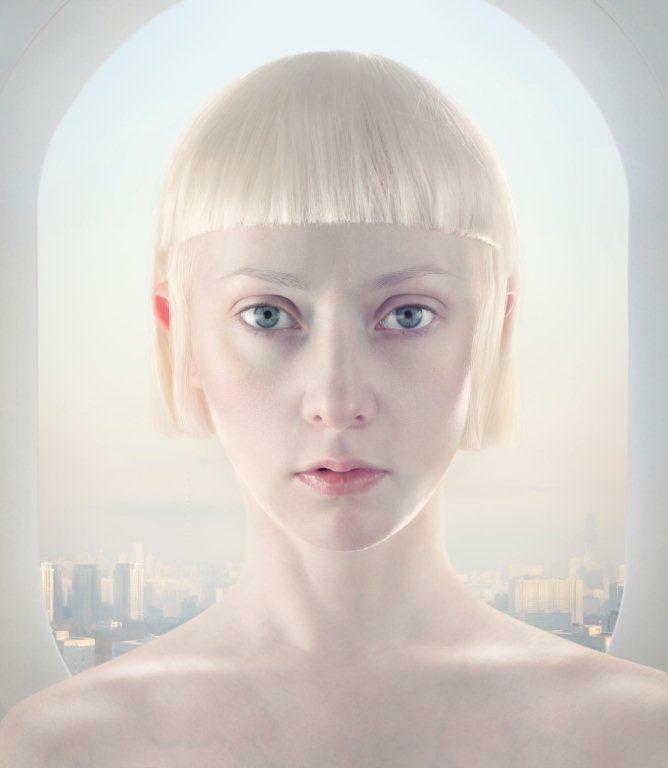 Russian photographer Katerina Belkina puts the 'self-portrait' phenomenon in a new setting. With unprecedented technical precision, Belkina uses the refined possibilities of digital photography in order to present a disquieting image of the new woman in a postmodern world. In her work, Belkina shows herself as a distant character in different roles, thus putting her own individuality into perspective, while at the same time addressing the viewer. As a modern, makable creature, the woman is turned into a new heroine in the story which is both recognizable and mysterious. Does she coincide with the archetypal figures from age-old fairy tales and folk tales (Blue Beard, Little Red Riding Hood, The Little Mermaid, Odette, Rose Red and Snow White) in which her role as a woman seemed clearly defined, or does an underlying layer appear, which disrupts this assumed familiarity? Empty Spaces takes on the form of a metropolis. However, this urbanized world is artificial and purely materialistic and, as a tiny dot in this constructed whole, man feels even more lonely and abandoned. In Belkina's vision, the metropolis has created a new type of human, in which only a hint of consciousness of the connection with the true universe is present. Katerina Belkina lives and works in Moscow. Courtesy of the artist and Gallery Lilja Zakirova, Netherlands.